Kensington Palace has revealed that the Duke and Duchess of Cambridge will make their first appearance in public together since announcing the happy news that they are expecting baby number three. The royal couple and Prince Harry will attend a reception at Buckingham Palace on World Mental Health Day, which falls on October 10th this year. The trio already work together to eliminate the stigma around mental health spearheading campaign Heads Together – which aims to change the national conversation on mental health and wellbeing. Earlier this week Catherine, who’s currently suffering from extreme morning sickness, featured in a new video released by Anna Freud National Centre for Children and Families about children’s mental health. 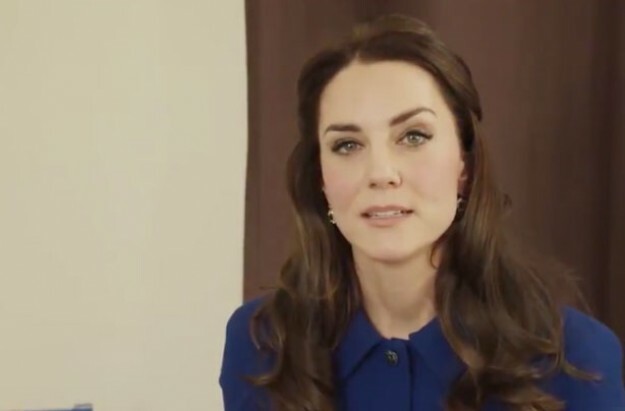 The Duchess introduces an animated film which explains how to talk about feelings, a new campaign titled ‘You’re Never Too Young to Talk Mental Health’ which aims to give parents and teachers free resources to support children learning about their mental health. In a statement, Catherine said: “As parents, we all want our children to have the best possible start in life, Encouraging children to understand and be open about their feeling can give them the skills to cope with the ups and down that life will throw at them as they grow up. “It’s important that our children understand that emotions are normal, and that they have the confidence to ask for help if they are struggling. “This is why I am proud to support the You’re never too young to talk mental health campaign by the Anna Freud National Centre for Children and Families, which is being rolled our across primary schools this autumn. The materials will be sent to every primary school in England, which includes assembly and lesson plans to enable them to use the animation in school for World Mental Health Day. According to the charity, half of all life-time mental health problems start by the age of 14, and 20% of adolescents may experience a mental health problem in any given year. It’s not the first time Kate, who’s a patron of the Anna Freud charity, has spoken out about mental health. As an ambassador for the charity campaign #YoungMindsMatter last year, the Duchess said that as a parent, she hoped to encourage George and Charlotte to speak about their feelings from an early age. “We know there is no shame in a young child struggling with their emotions or suffering from a mental illness,” she wrote at the time.Prince Harry has also been open about mental health before, saying he regrets not talking about his feelings after his mother’s death.